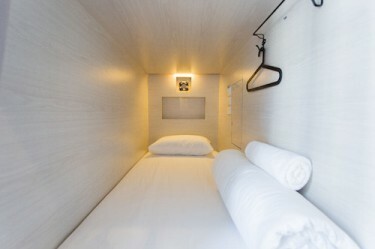 Choose your comfortable stay in one of our capsules. When we, the family sat down to create this project, the ONLY thing we agreed on was that we did not want this place to be a sleep-and-go kind of hostel. We really wanted it to be a community of travellers, expats and locals coming together to share, learn and experience what Bangkok and Thailand have to offer. This probably stems from the third world culture kids syndrome that all three of us have. We have lived in California, Boston, L.A., London, Oxford, Singapore, and Hong Kong and have traveled to all of the continents of the world…sounds familiar? Welcome to the Cube Hostel where you are promised comfort and convenience, quality time and lasting friendships. 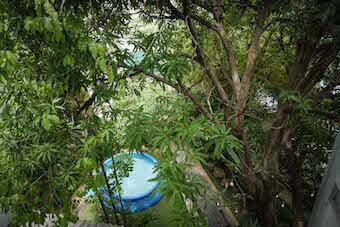 The cube hostel is truly a hidden gem in the middle of one of the most bustling areas of Bangkok. For the price point, I was very impressed with the look and modernness of the place. I felt like it was a pleasant boutique experience in the setting of a backpackers budget. 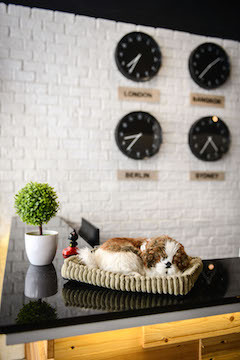 I would recommend this to anyone coming to Bangkok looking to stay in a great location, with the safety, cleanliness, service, and look of a new trendy hotel, all within walking distance to the excitement around. The Cube design beautiful, clean room. Ms Ket, The Cube boss and everyone friendly, cute. I will return The Cube. Thanks everything in The Cube..See you. 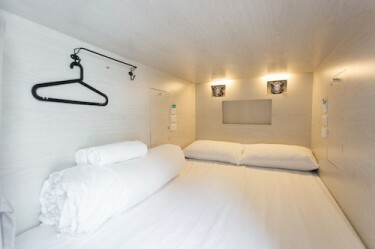 We have Japanese inspired capsule beds and bunk beds that are situated in separate rooms across 4 floors. 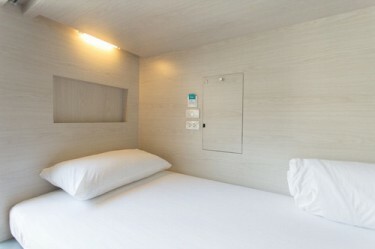 There are singles bed cubes, doubles, as well as women only bed cubes so whether you’re traveling solo or as a couple, you can have your preference. Copyright © 2017 The Cube Hostel. All right reserved.